At Chambers Family Dentistry, we strive to give you the high-quality dental care you deserve to maintain a healthy smile for a lifetime. 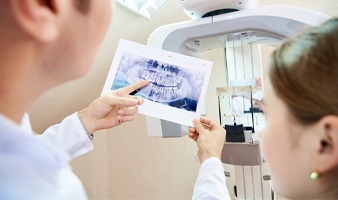 Besides comprehensive services, your dentist in Annapolis embraces the latest technological advancements to deliver a higher standard for care. Now, you can enjoy a simple and accurate impression process using an intraoral scanner. 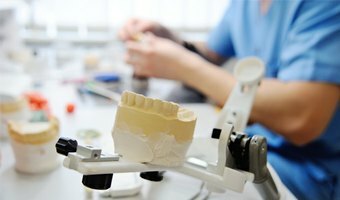 You can also benefit from same-day restorations with our in-office milling system. You have access to the state-of-the-art care you need while accommodating your busy lifestyle. You can say good-bye to messy, foul tasting impressions with our intraoral scanner. The small device captures digital impressions quickly and painlessly. This is the perfect option for those who have severely damaged teeth that cannot withstand the traditional impression process. It is also ideal for those who have a strong gag reflex or suffer from a disorder of the temporomandibular joint, which connects the jaw to the skull on either side of your face. The scanner improves the diagnosis and treatment process by eliminating any room for error. The images are highly detailed and can be viewed on a large screen, so we can see even the smallest of area. This offers enhanced treatment planning with precise measurements. This elite equipment integrates with other technology in our office, like our milling system. 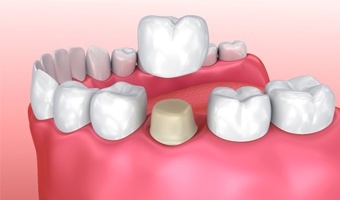 Now, you can get the restorations you need in just one day with our in-office milling system. This eliminates the need for second appointments and temporary restorations when needing dental crowns in Annapolis. The information gathered from the digital impression system integrates with CAD/CAM software. This allows us to design your restorations to meet your exact needs in terms of color, size, and shape. The information is sent to our milling machine, where your crown is cut from a single block of all-ceramic material. In less than 1 hour, your restoration is ready to be bonded to your tooth. Although the entire process takes less than an hour, rest assured the results are accurate, durable, and aesthetically pleasing. Your restoration can last for an average of 10 years before needing to be replaced if you care for it properly. You should never have to compromise the quality of the care you receive from your dentist. At Chambers Family Dentistry, you can get the state-of-the-art services you need while accommodating your busy schedule with digital impressions and our in-office milling system. Contact our office today to learn more about our technology or to schedule an appointment. We look forward to providing you with the care you deserve.